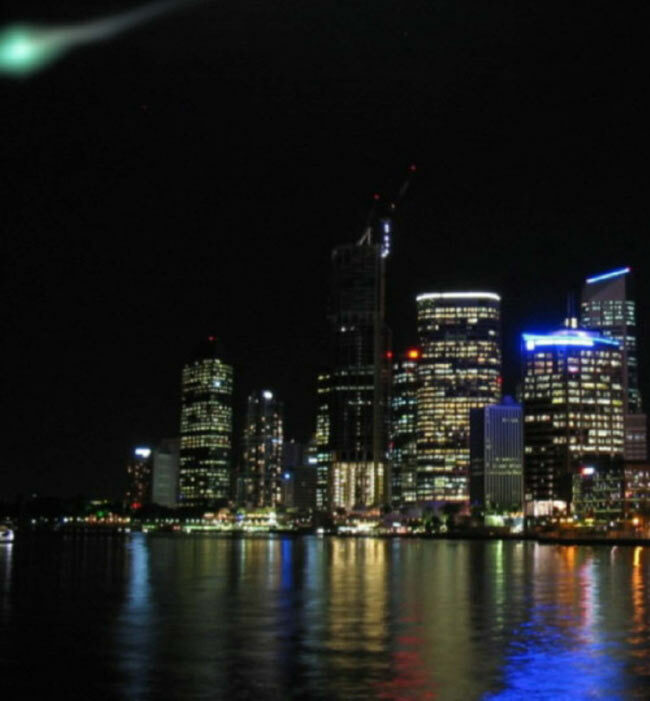 At least three traffic-light green fireballs brighter than the moon but not as bright as the sun blazed over northeast Australia on May 16, 2006. A farmer saw one with a blue tapering tail pass over the mountains of the Great Divide about 75 miles (120 kilometers) west of Brisbane, then watched a phosphorescent green ball about 12 inches wide (30 centimeters wide) roll slowly down the side of a mountain, bouncing over a rock along the way. Green fireballs have been seen many times in the sky, and are typically explained as meteors whose shockwaves lead to electrically charged oxygen similar to that seen in auroras. In fact, a commercial airline pilot who landed in New Zealand that day reported seeing a meteor breaking up into fragments, which turned green as the bits descended in the direction of Australia. 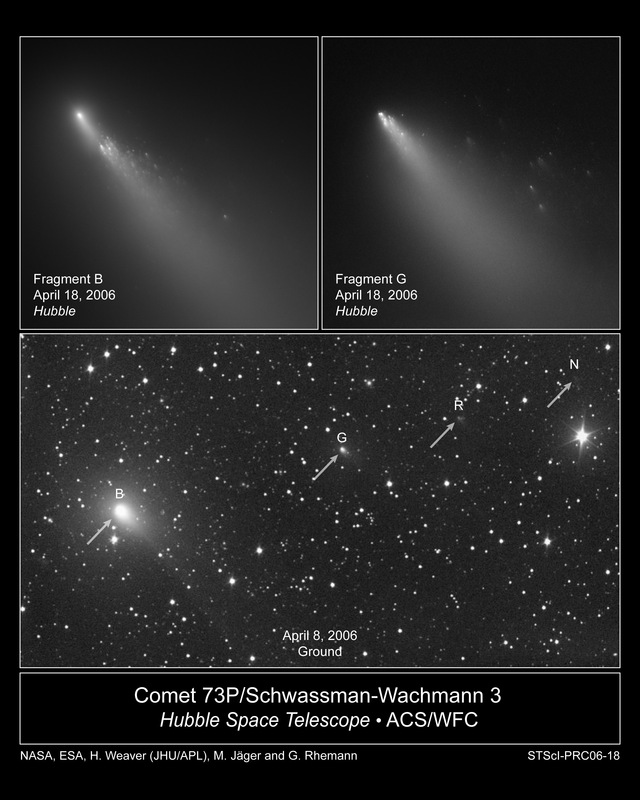 The timing of the fireballs suggests they might have been debris from Comet 73P/Schwassmann–Wachmann 3, said physicist Stephen Hughes at the Queensland University of Technology in Brisbane. The green ball the farmer saw roll down the slope was almost certainly not a meteorite, Hughes said. No perfectly round meteorite a foot wide has ever been found, and if it were one, it wouldn’t be rolling slowly down a hill.